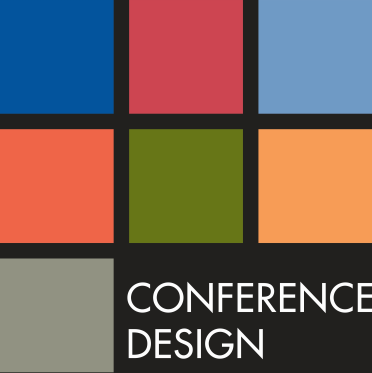 This site brings together the proceedings from ISANA conferences. We have currently collected the proceedings for the annual conferences from 2004. The material available varies for each presentation but includes abstracts of the presentations, refereed papers, non-refereed papers, workshop summaries and power point slides. Refereed category papers are fully written and blind peer reviewed papers. All Refereed papers have been pre-screened for conformity with the submission guidelines and overall appropriateness for the conference. These papers have then been evaluated in a double-blind peer review process. Reviewers include academics and researchers in the field of international education. Acceptance and rejection decisions are finalised by the Program Committee. The 23rd ISANA International Education Conference was held in Auckland, New Zealand from 4 to 7 December 2012 at The Viaduct Events Centre. The 22nd ISANA International Education Conference was held in Hobart, Tasmania, from 29 November to 2 December 2011 at The Wrest Point Conference Centre. The 21st ISANA International Education Conference was held in Melbourne, VIC, from 30 November – 4 December 2010 at The Crown Promenade. The 20th ISANA International Education Conference was held in Canberra, ACT, from 1 – 4 December 2009 at The Realm Hotel. The 19th ISANA International Education Conference was held in Auckland, New Zealand, from 2 – 5 December 2008 at the Skycity Convention Centre. The 18th ISANA International Education Conference was held in Glenelg, South Australia from the 27 – 30 November 2007. 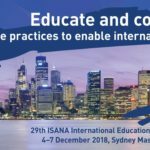 The 17th ISANA International Education Conference was held in Sydney, New South Wales from the 5 – 8 December 2006. The 16th ISANA International Education Conference was held in Christchurch, New Zealand from the 29 November – 2 December 2005. 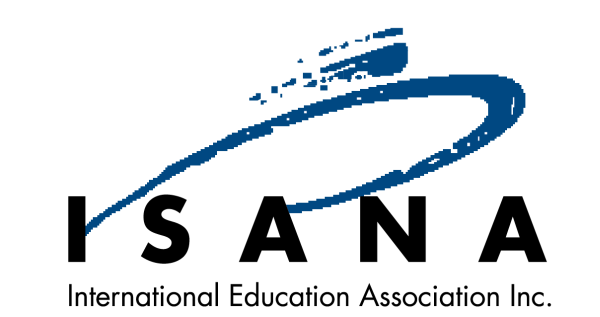 The 15th ISANA International Education Conference was held in Melbourne, Victoria from the 30 November – 3 December 2004. 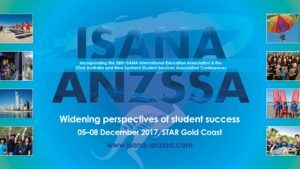 ISANA is the representative body for professionals in Australia and has a sister organisation relationship with ISANA New Zealand who work in international student services, advocacy, teaching and policy development in international education.